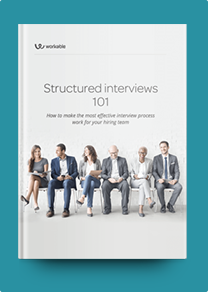 This File clerk interview profile brings together a snapshot of what to look for in candidates with a balanced sample of suitable interview questions. File clerks hold an administrative role, therefore interview questions should focus more on skills and previous experience than the candidates educational backgrounds. Familiarity with office equipment like scanners and photocopiers is required in most cases, but also make sure to ask about other relevant experience that applies specifically in your organization. Soft skills are also important in this position. Organizational skills, attention to detail and confidentiality are assets you should look for in candidates. To ensure you have found the perfect fit for this role you should use these questions to understand why candidates applied for the job, what motivates them and how they will contribute to your organization. How will your previous experience help you with this position? Are you familiar with MS Office? Have you used or created any filing systems? How would you rate your typing skills? How do you avoid data losses? Describe a time you had to deal with strict deadlines. How did you manage to complete tasks on time? This job can be quite repetitive. What motivates you? What could we do to challenge you? As part of your job you will have to handle personal data and sensitive information. How will you ensure their confidentiality? Recall a time you had to deal with a stressful situation. What did you do to remain calm and keep performing? How would you advise us to keep our records more organized and easily accessible?